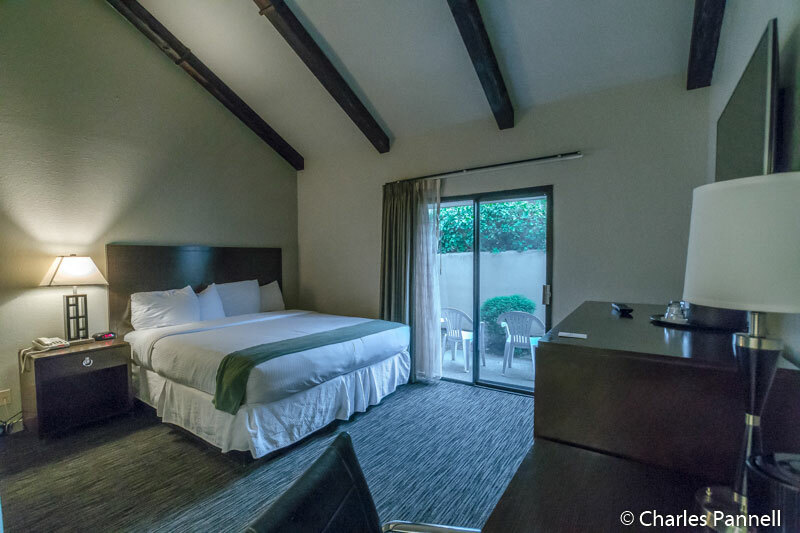 Located at the entrance to historic Cannery Row, the Cannery Row Inn (www.canneryrowinn.com) offers a comfortable accessible room at a very affordable price. Accessible parking is located in the back of this Monterey hotel, with elevator access up to street level, and level access over to the front lobby. Accessible room 101, which features wide doorways and good pathway access, is also located on the same level. The room is furnished with a 27-inch high king-sized bed with wheelchair access on the left side (as you face it), a desk and a chair, a chest of drawers, a refrigerator and a microwave. There’s also a sliding glass door that goes out to a small patio, and although there is a slight lip, it’s still doable for most folks. 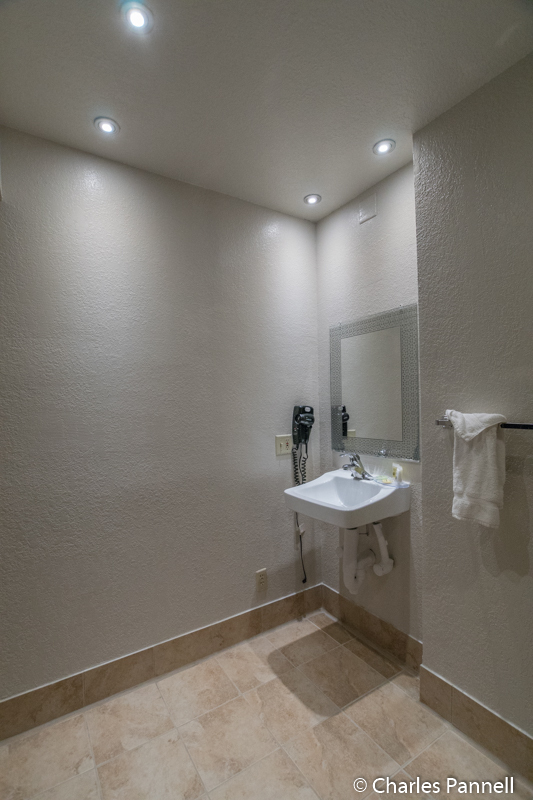 The spacious bathroom has a full five-foot turning radius, and is outfitted with a low-step (five inch) shower with grab bars, a hand-held showerhead, and a standard showerhead. 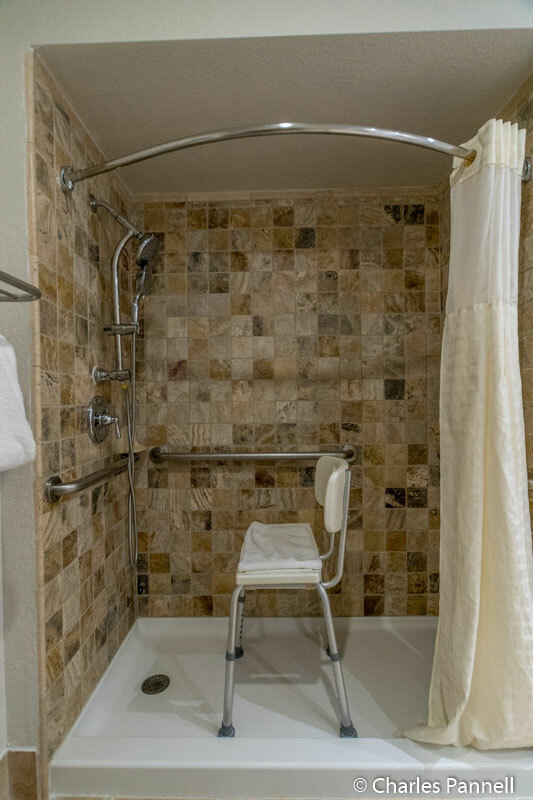 There’s also a plastic shower chair in the bathroom; and although there’s plenty of room next to the shower for a transfer, most folks will have to pivot and walk at least a step in order to accomplish this. 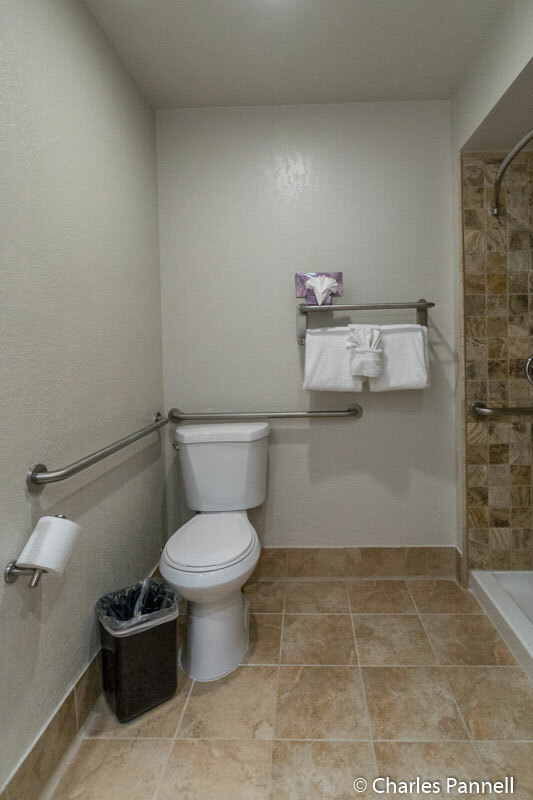 Other bathroom access features include a roll-under sink, a lowered mirror and toilet grab bars on the right and back walls (as seated). The one down-side to this property is that there is some street noise during the day however it quiets down at night. And you just can’t beat the location, as the very accessible Monterey Bay Coastal Trail is located right behind the property. This wide paved multi-use trail runs from Castroville to Pacific Grove and follows the route of the old Southern Pacific Railway. It’s about a half-mile roll down to Fisherman’s Wharf, which has a bevy of delicious restaurants; and about a .7-mile jaunt the other way to the Monterey Bay Aquarium. So park the car, enjoy the scenic coast, and make the Cannery Row Inn your home away from home in Monterey. 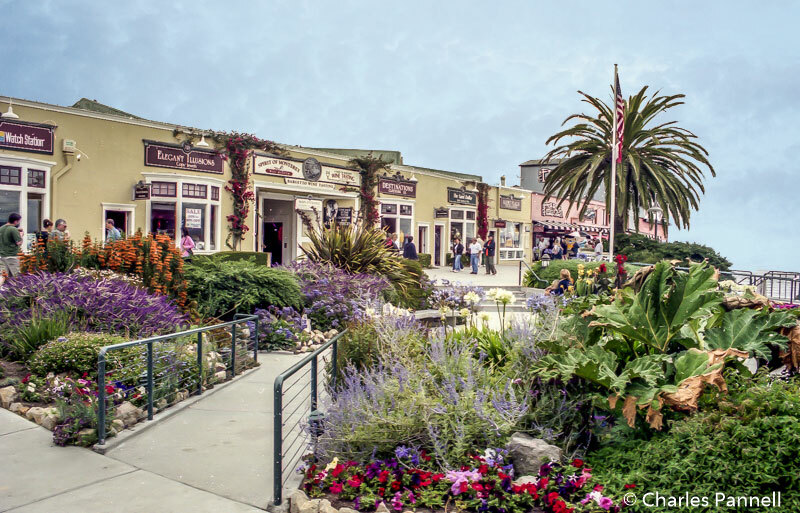 ‹ Walking in Steinbeck’s Footsteps on Monterey’s Cannery Row	› Hello Dalí !